Get a High Spirit Day Sheet today at Horse Tack Now. 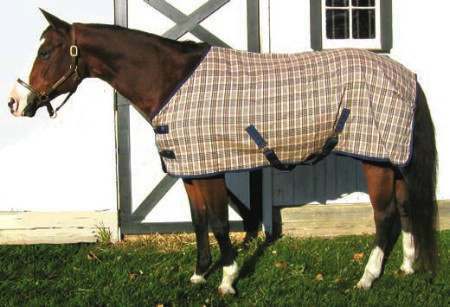 This Horse Sheet that we have to offer is also made with impeccable craftsmanship and comes with 2 adjustable buckles & straps at the front as well as crossover surcingles. The leg straps are not included, but can be placed in at a later time as they are sold separately. We know how hard it can be to find a great deal on Horse Sheets. This is why we offer all our Equine Sheet at discount prices to help our customers save and want to come back for future purchases.